Last year, the University of Portsmouth went palaeo at Victorious with an installation of laser cut acrylic dinosaurs designed by students from the Faculty of Creative and Cultural Industries. This year, we’ll all be turned into scientists for the weekend with activities in the Science Tent. Make a visit to the tent to discover the world-leading research at the University. Feel the universe at your fingertips with Tactile Universe, a new project using 3D printed images of galaxies at the Institute of Cosmology and Gravitation. Explore how your brain works with interactive activities from researchers at the Brain Tumour Research Centre. See if you can beat the psychological illusions and memory games created by staff from the Department of Psychology. 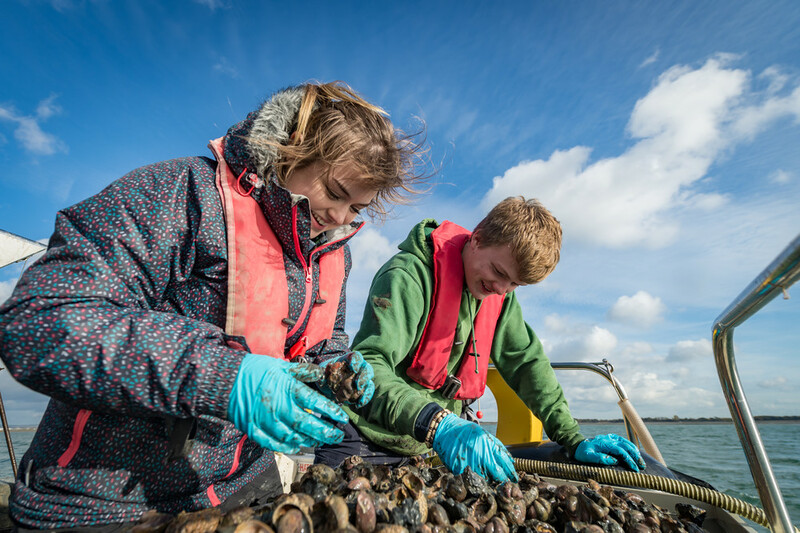 Find out about the University’s involvement in a major conservation project to restore the native oyster population in the Solent. Become a marine citizen scientist and help to conserve our coastline with the ‘Capturing our Coast’ project team based at the Institute of Marine Sciences. Discover how natural resources impact a country’s culture with the Department of Geography. Meet the team who designed, built and raced the University’s Formula Student racing car. Sit in the car, try on the helmet and experience the thrill of the action. In the 25 years since achieving university status, the University of Portsmouth has grown and changed in many ways. The University is now among the Guardian’s Top 40 UK Universities and is one of the best 100 universities in the Times Higher Education Young University World Rankings. The University is undergoing a rebrand to reflect this evolution and to communicate its values, relationship to Portsmouth, and ambitions in higher education. If you’re going to the festival, you’ll be one of the first people to catch a glimpse of the University logo. Keep your eyes peeled at the festival for the University’s students who’ll be snapping photos during the weekend. Check out the University’s social media feeds (Instagram, Twitter and Snapchat – @portsmouthuni) to see if you can spot yourself amongst the crowd. Remember to tag us in your posts so we can share them too. For more information about the University’s presence at the festival, email events@port.ac.uk.